Do you have to show your hand on the river even if you lost? - Casino Answers! 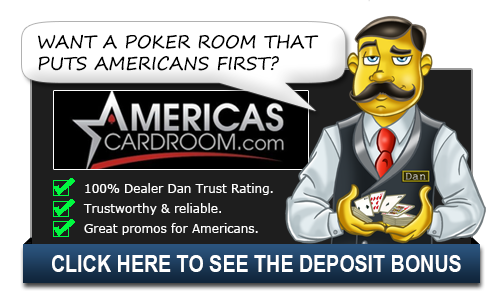 Casino Answers » Poker » Online Poker Beginner Q&A » Do you have to show your hand on the river even if you lost? Do you have to show your hand on the river even if you lost? Both online and offline poker rooms follow the same rules when it comes to river showdowns in poker. This poker question and answer applies to practically all forms of poker. Technically, you never have to show your hand, and can muck whenever you want to. The only time you have to show your hand is when you believe you have the winning hand in a pot. For example on the river, you bet and are called. If you declare a “flush” or any other hand and you think you have won the hand, then you must actually show your cards. However if your opponent called and then showed his cards before you had a chance to show yours, then you can muck your cards immediately. If you bet and are called and your opponent doesn’t show his cards immediately, you are required to show your hand to the table. If an opponent bets into you, and you call, and the opponent beats your hand, then you don’t have to show your hand, and can muck them immediately. In online poker cards are mucked by default usually, however you will have the option of showing your hand to the table if you wish. Also in the poker hand history, most poker rooms will allow cards that were mucked to be seen, assuming the player called and lost. In very rare cases, you will be required to display your hand in an actual live casino. The reason for this is if there is a concern about collusion. Now in saying all this, some casinos will actually have rules about cards being allowed to be seen at showdown. If you are curious about a hand that a player called with and then mucked, you can request to see it. These rules vary casino by casino, however it is generally considered bad etiquette to ask to see a mucked hand, and in many live poker situations we’ve played in recently, the floor refused the player to see the hand as he didn’t suspect there was collusion, and just wanted information. In Omaha, do you have to show all 4 cards? Omaha the cards are all dealt and my opponent called my raise. I show the two cards that win the hand. Am I obligated to show the other two cards in my hand? The rules for Omaha state that you must show all four cards in your hand. The reason for this is to prevent any possibility of cheating and for complete transparency. Some casinos or house games may choose to allow you only to show the two winning cards though – so be sure to check the house rules with the dealer, just to be sure. on playing the other night, pub game. i get to a show down with one other, he calls my bet, and i turn my cards over. the nuts, he then flings a king face up over the table then another card equally across the table face down? It didn’t go into the muck pile? can i pick it up? It would really depend on “House Rules”. First I’ll say that you really can’t pick it up – you could request the dealer pick it up but picking it up to look is extremely bad etiquette. Usually in a casino setting requesting to see a mucked card(which is usually reserved for collusion) is extremely bad etiquette and courtesy. Even moreso in a pub game setting. It also would depend on house rules. Honestly it’s one of those things where, in a pub game setting, I’d let it go. They most likely don’t have any rules set in place for an instance like that, and it would just cause a lot of arguments etc. In a live cash game showdown on the river player-A bets player-B calls Player-A mucks immediately does player-B have to show his hand to win pot to help prevent collusion.This is in a casino poker room. All casino rooms will have different rules and it’s best to check with the dealer in that regard prior to playing. However more and more these days we are finding casinos won’t show the mucked hands unless there’s a concern about collusion.